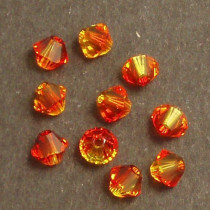 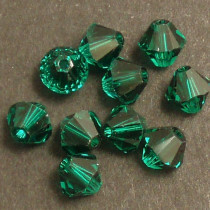 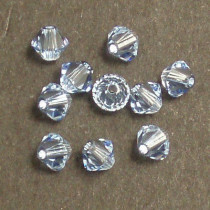 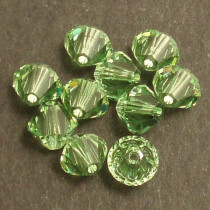 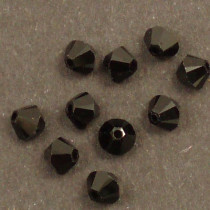 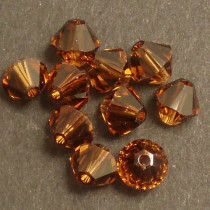 Swarovski is the brand name for a range of precisely-cut lead crystal which is a particular type of glass. 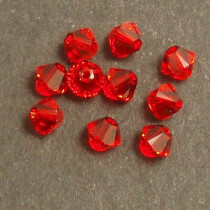 Swarovski Crystals are created through an innovative patented technology that increases light refraction which gives each crystal beads that brilliant sparkle. 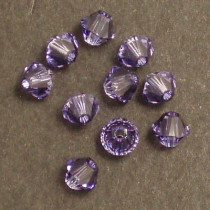 The lead content also increases the weight of the crystal as compared to normal glass. 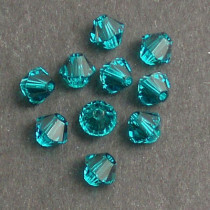 With Swarovski's very strict quality control they have a rate of 98% accuracy to deliver the highest quality product.